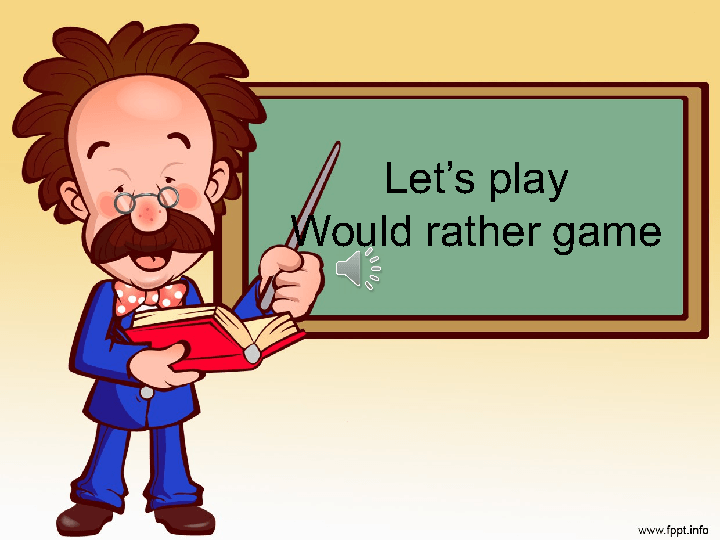 This is a power point presentation used for elementary students, L2, to practice "would rather ". It can be used to practice reading and speaking skills, encouraging them to talk about things they'd rather do. 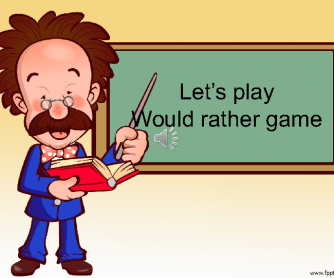 It is a very funny way to practice expressing preferences.